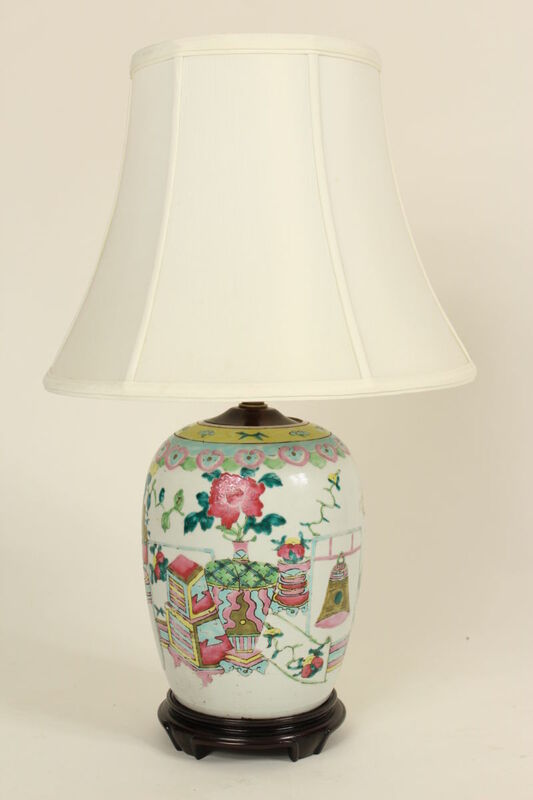 Chinese polychrome decorated porcelain lamp, approximately 40-60 years old. This lamp has new wiring. Height to top of shade 25.5″. Height to beginning of electrical fittings 12.5″. Diameter of porcelain vase 8″.